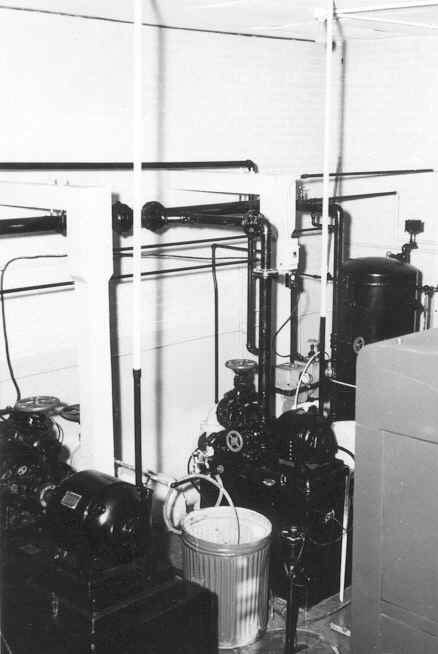 Building T123 Water, Potable, Pump Station and interior view. 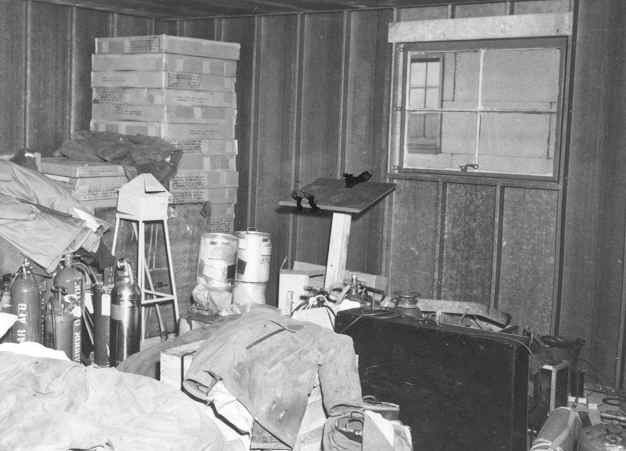 Note the coal in the coal bin. 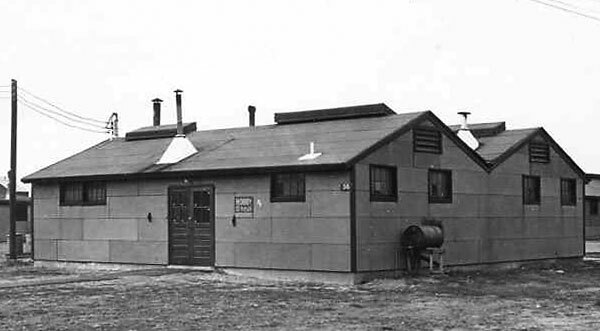 Many buildings had pot belly stoves. 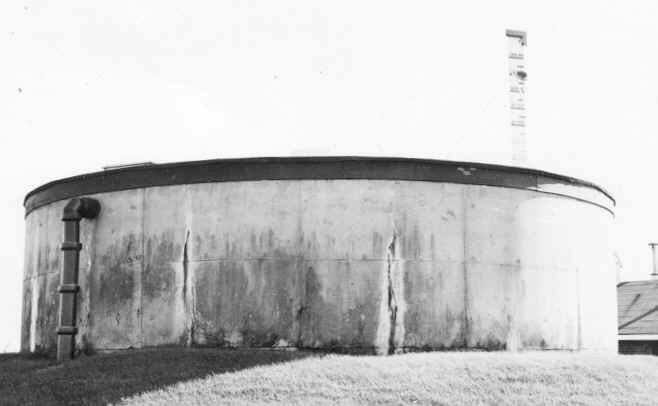 Building T124 Water, Potable, Storage Tank. 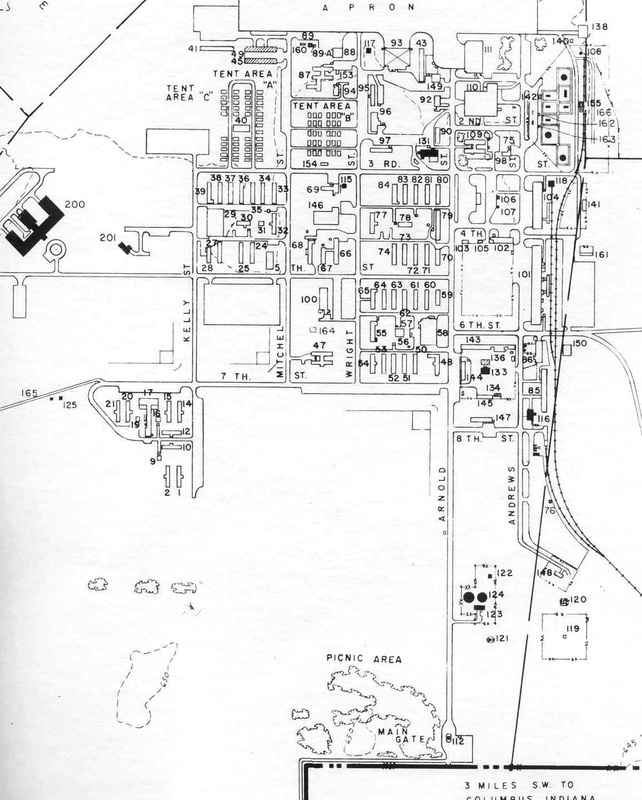 Building T128 Sanitary Sewer, disposal. 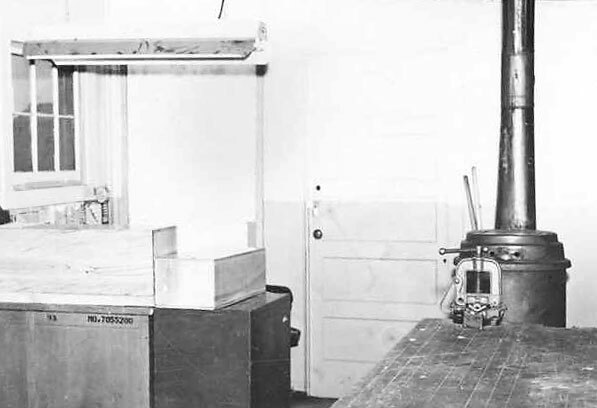 Building T134 Supply and Issue, IAE and interior view. 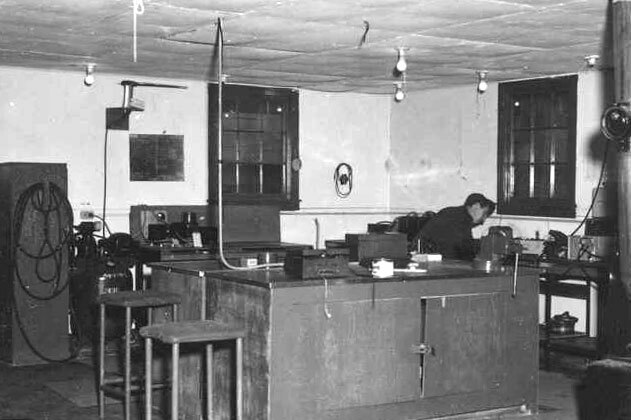 Note the Government Issue pot belly stove. 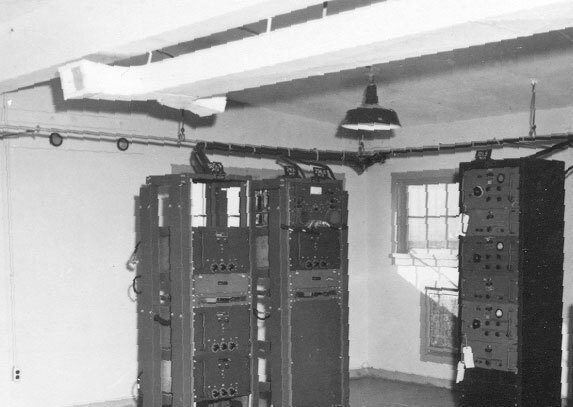 Building T156 AACS UHF DF and interior view. 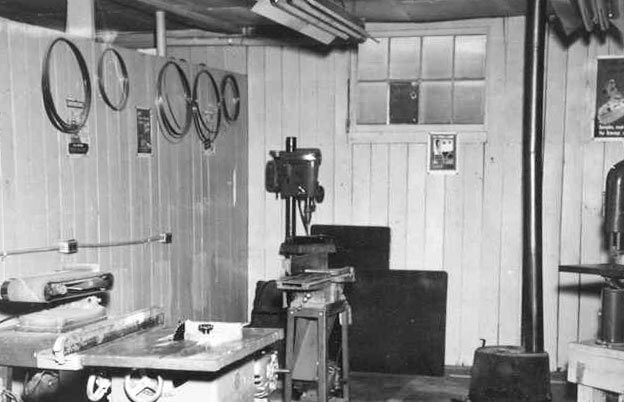 Building T56 Hobby Shop and interior view. 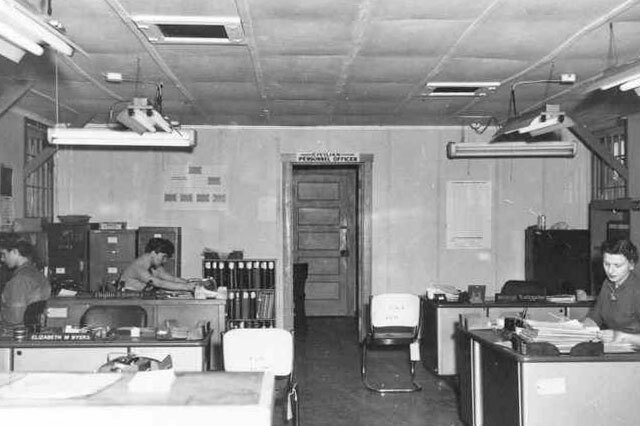 Building T79 Administration Personnel Processing and interior view. 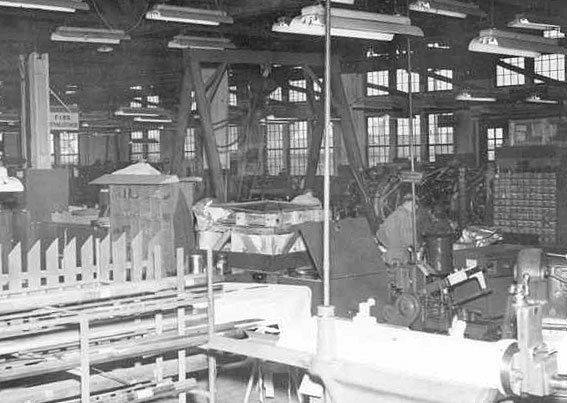 Building T90 Administration, Records, Processing interior view. 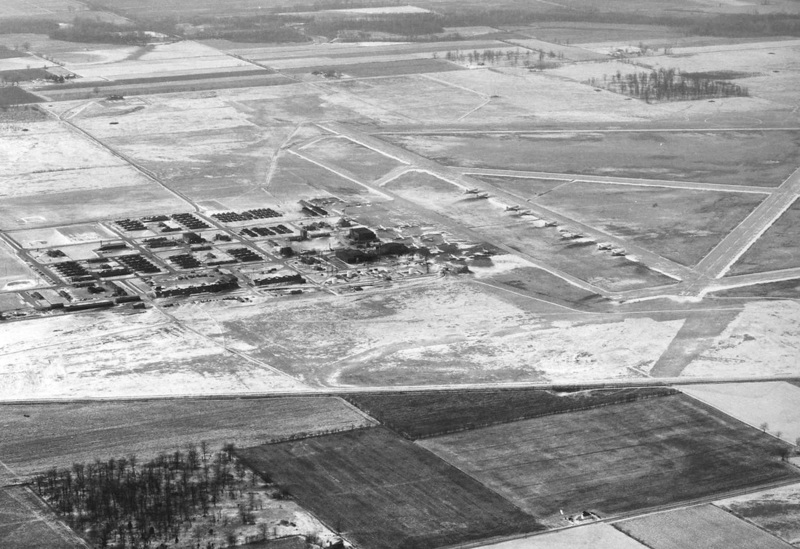 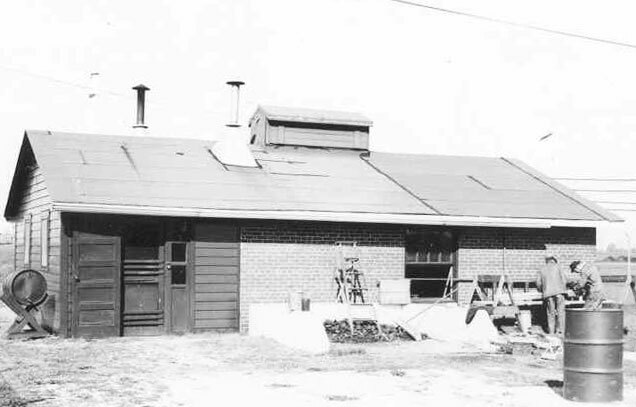 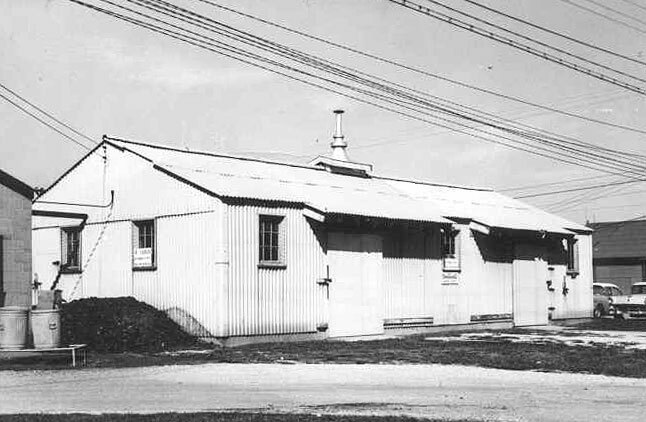 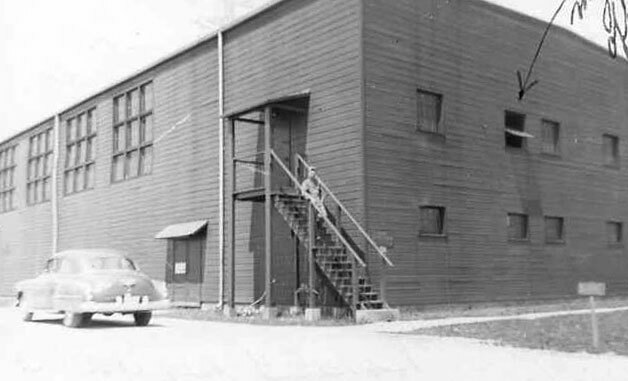 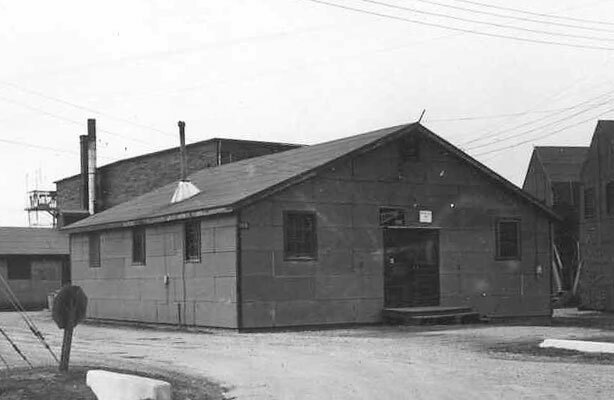 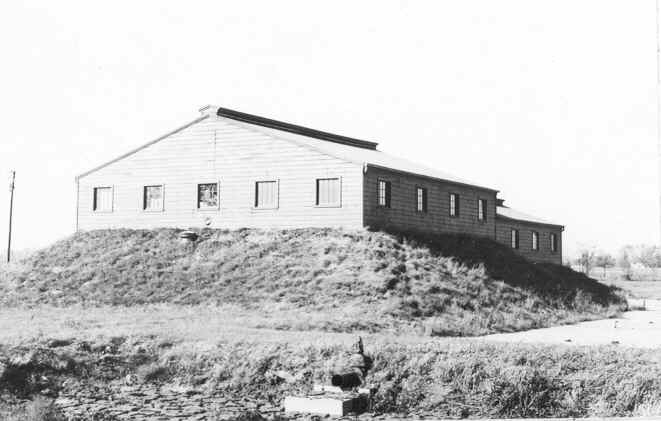 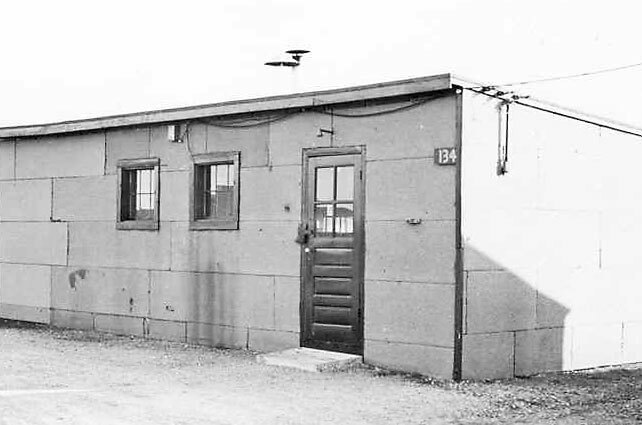 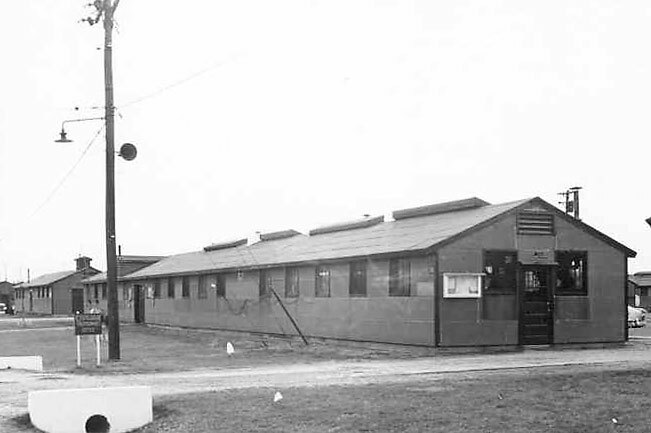 Building T24 Dormitory, Airmen which was used as the Legal and Claims Office. 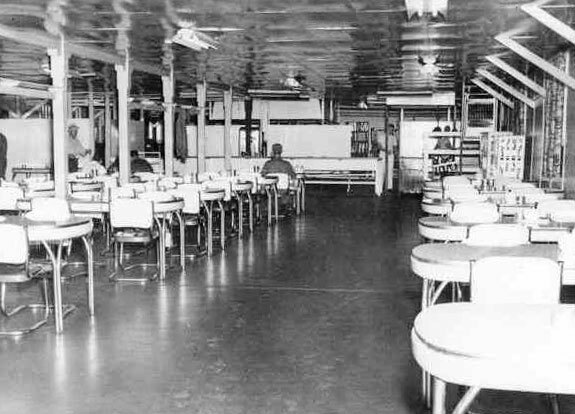 Building T29 T58 Dining Hall Airmen and interior view of the Dining Hall. 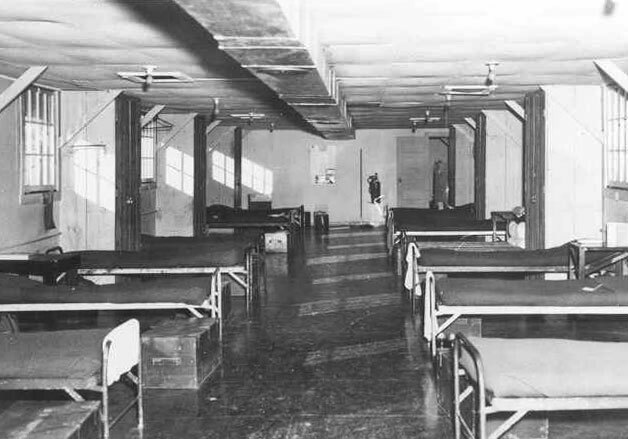 Interior view of Building T50 Dormitory, Airmen. 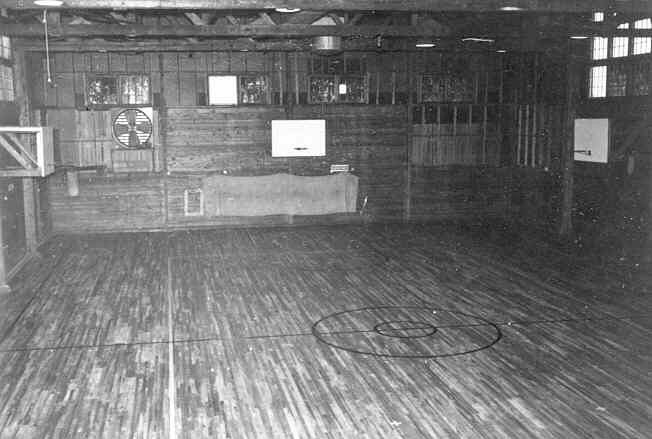 Building T146 Recreational Gymnasium and interior view. 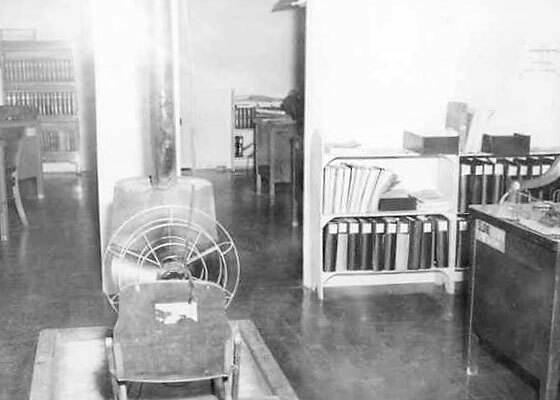 May 1951 photo of the Base Gym with Charles Olson, a former base airman, on the stairs. 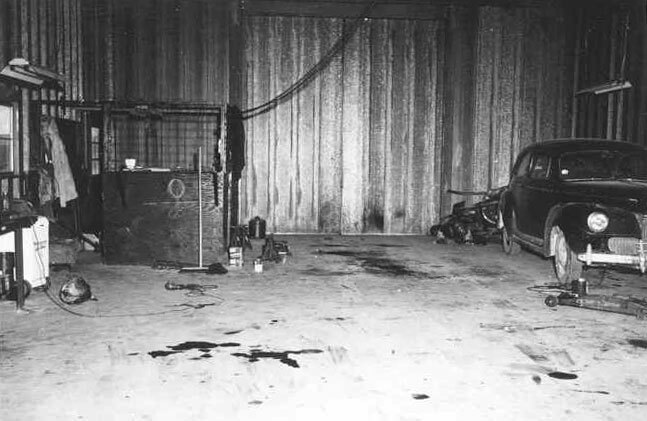 Building T110 Shop Field Maintenance General Purpose and interior view. 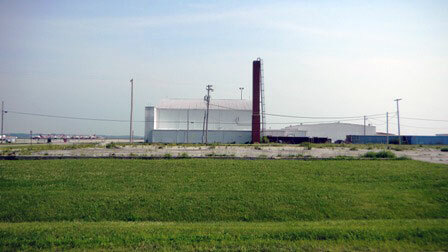 The foundation of Building T-110 with Hanger T-111 seen in the background in a June 2010 photo. 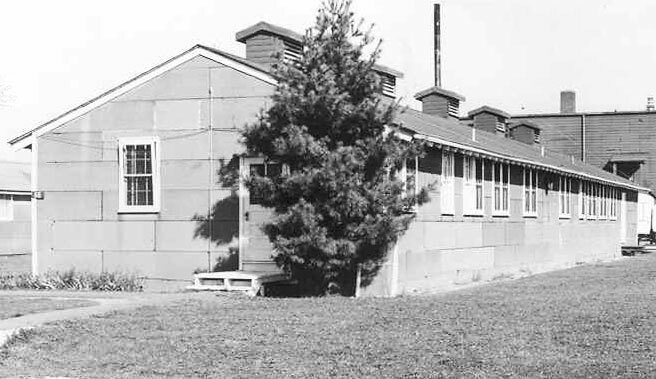 Building T66 Base Infirmary and another view of the Infirmary with the Base Gym to the rear. 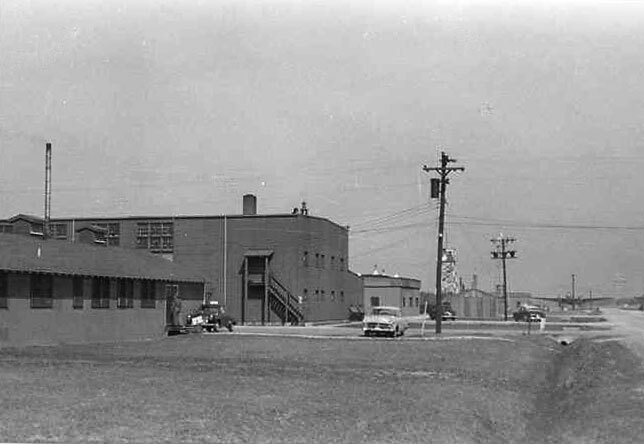 Note the C46 on the ramp and the vintage automobiles in the parking lot. 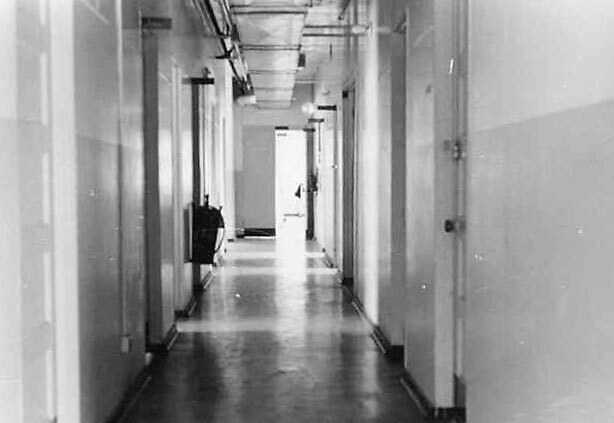 An interior hallway view of the Infirmary. 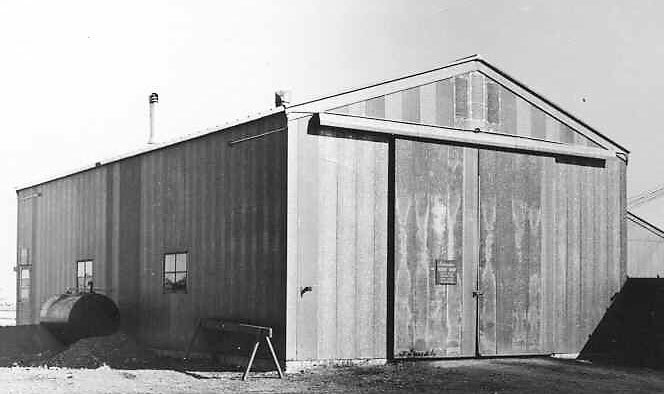 Building T135 Bulk Warehouse. 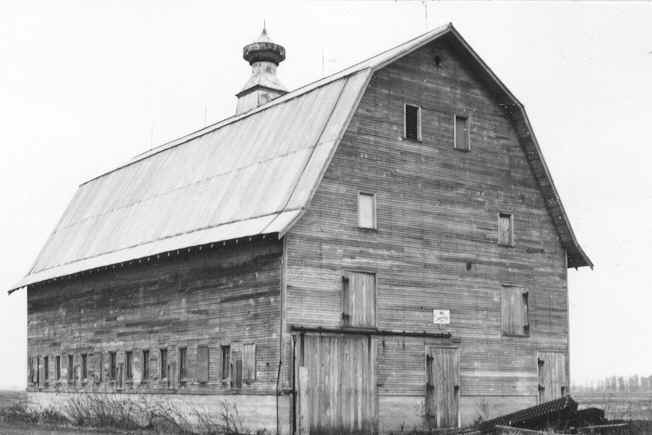 Doesn't that look like a barn to you? 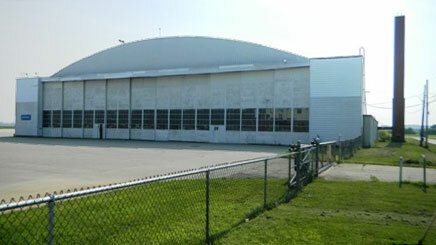 Hanger T111 in a June 2010 photo. 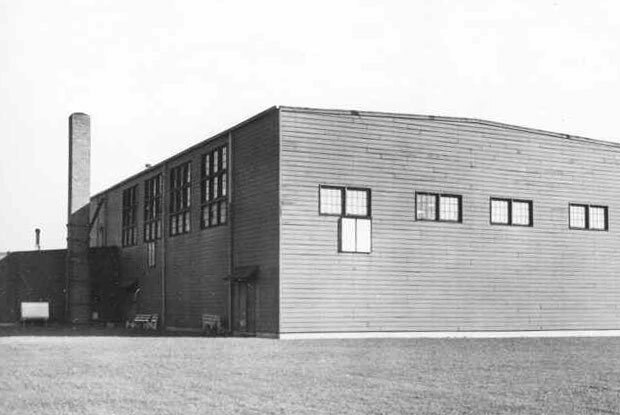 Building T111 Reserve Hanger and interior view. 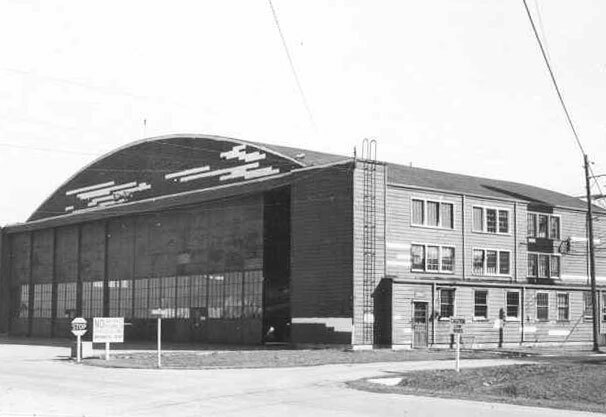 Note the 434th's C-46 in the hanger. 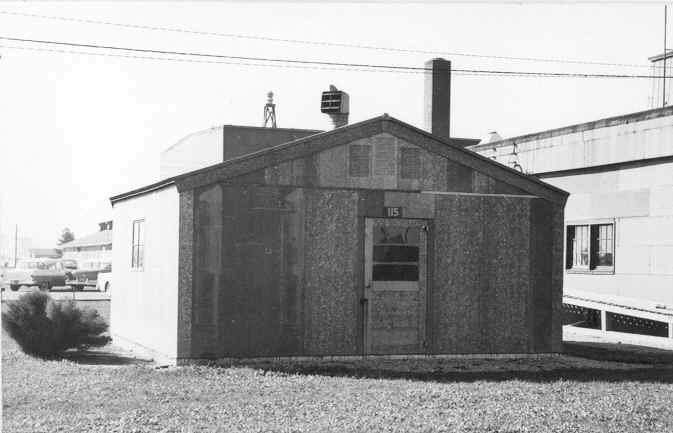 Special Note: Building T111 is on the schedule to be demolished sometime in the future. 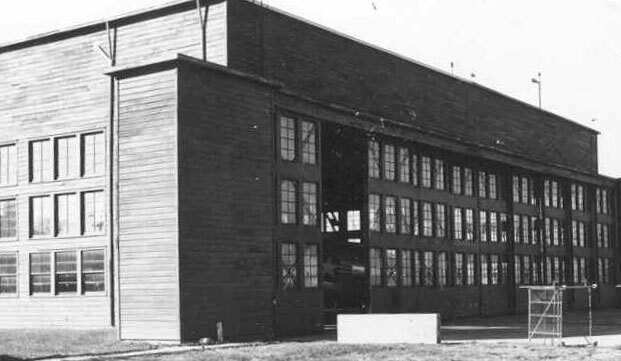 Building T93 Reserve Hanger and interior view. 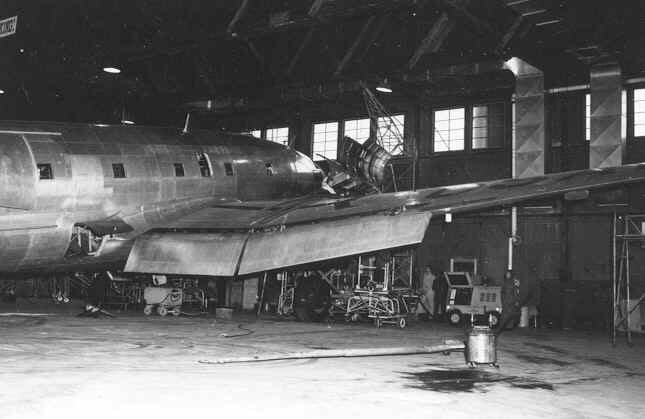 Note the C-46 being worked on in the hanger. 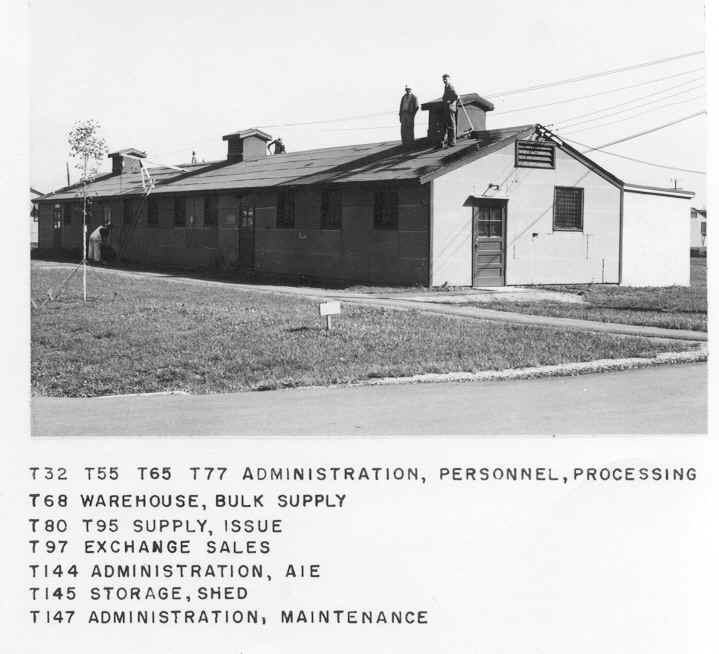 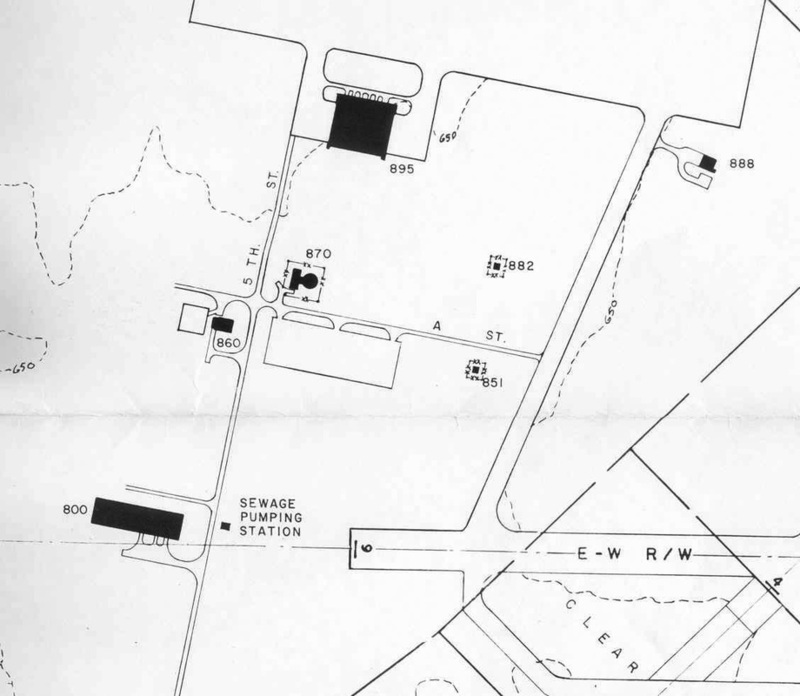 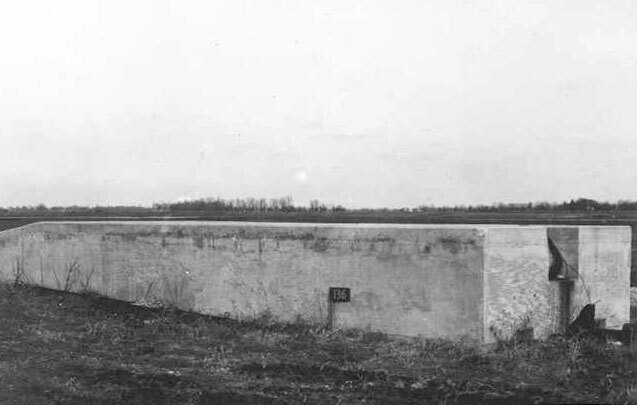 Building T32 with other building type information in photograph. 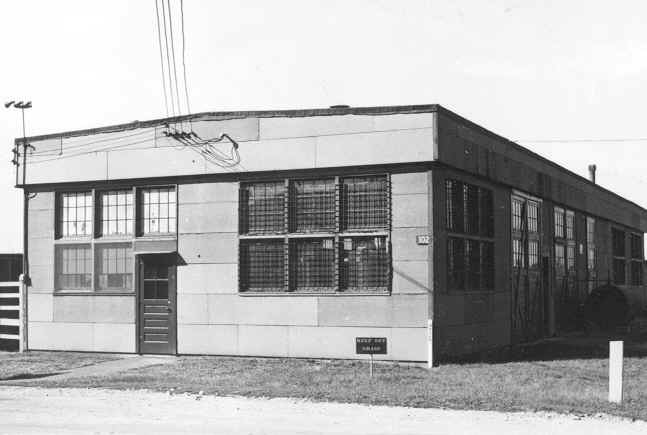 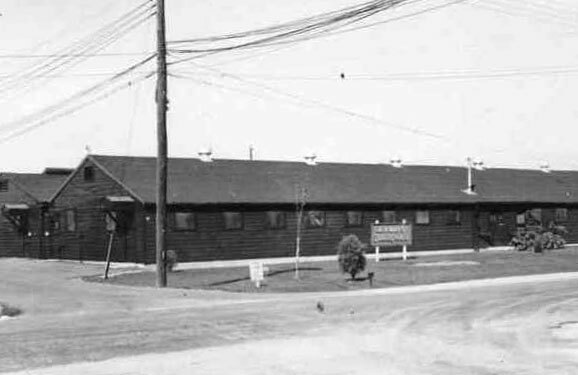 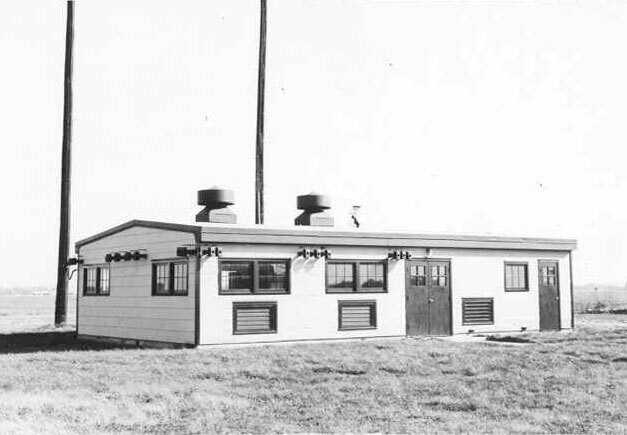 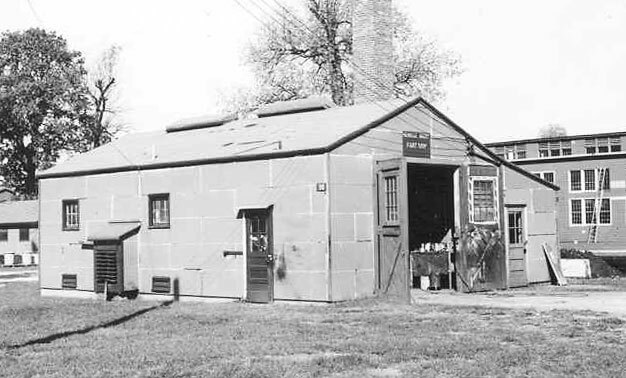 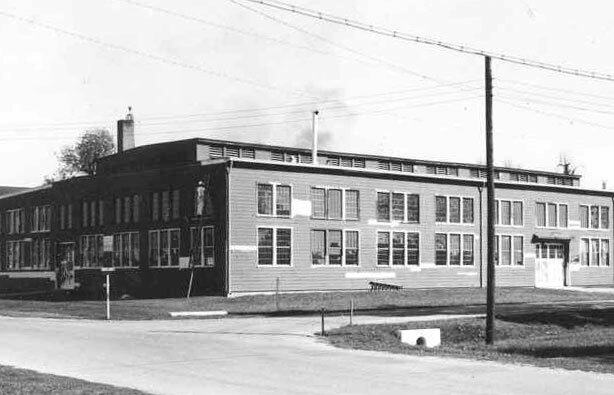 The T32 style building was used for the BX, Snack Bar, Barber Shop, Clothing Sales, and similar functions.